I have an RGB LED strip which I want to control with my arduino uno, everything works fine, except for the green LEDs. They cannot be dimmed to less than 50%, because they will simply turn off. And the green LEDs are fully turned on in the beginning, and at about 127, the just turn off. All the other colors are perfectly dimmable. I checked the energy usage, and green does only use a little more than the other colors, so that's not the problem. Are green LEDs not dimmable? Or is this just an optical effect? analogWrite only works on pins that support PWM. Those are the pins with the ~ next to it. On no-PWM pins, analogWrite will set the pin to LOW, for all values lower than 128, and HIGH for all the higher values. Which is what you are experiencing. Not the answer you're looking for? 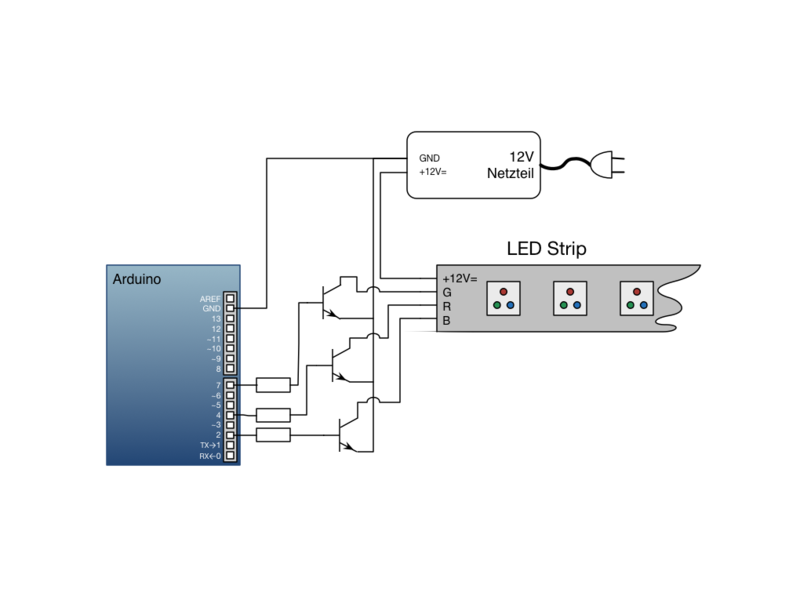 Browse other questions tagged arduino-uno led led-strip or ask your own question. How to interface with generic IR RGB LED controller?